Emoji has come a long way since its early days of Simpson-style skin tones, having rolled out a much more diverse offering last year. But while a spectrum of ethnicities are represented in the current version of the popular picture-icon keyboard, gingers are still considered a non-breed in the Emoji world. But redheads everywhere will soon have reason to celebrate as Apple have agreed to discuss the possibility of expanding the Emoji collection to include them. Gingers everywhere have had enough. 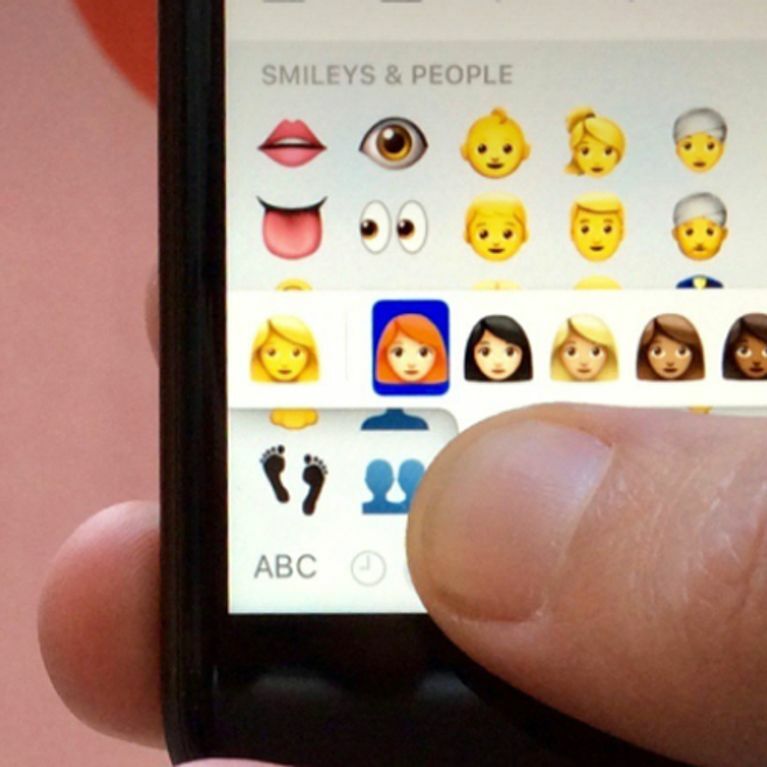 Redheads all over the country have united to take a stand against Apple and its failure to realise them in Emoji form - despite diversifying their offering of skin tones over a year ago. Thanks to a group of impassioned auburn-haired campaigners who've been dedicated to the cause for years, Emojipedia has agreed and said it's officially considering rolling out picture icons of their population. The emoji dictionary has released a shortlist of the 67 new emojis Apple is seriously thinking about releasing as part of 2018's drop and redheads everywhere are rejoicing as among them is a ginger male and a ginger female. The redhead emoji will be presented at a subcommittee meeting later in the year and if the panel choose to approve the new additions, it's likely Mr and Mrs Ginger will appear on iPhone users' keyboards in early 2018. The news comes months after one redhead - who goes by the Internet pseudonym 'Ginger Parrot' - set up a Change.org petition to pile on the pressure on Apple and Unicode Consortium - the people responsible for designing and activating new Emojis to stamp out the blatant hairism in their picture icons. The petition page read: "Despite the recent racial and sexual ‘diversification’ of Apple’s Emoji to be released in the next iOS 8.3 update, there’s still an important group of people missing from the emoji family of 300 new symbols. ​"Redheads. In all their glorious gingerness, they’ve been missed out. Again. If you say you’re going to diversify, why not add a few red-haired Emojis into the mix? Natural redheads may be rare at less than 2% of the world’s population, but that is 138,000,000 iPhones waiting [for it] to happen." Ginger Parrot's efforts weren't wasted as the petition - which clocked up over 21,000 signatures - caught the attention of Apple and they agreed to host a Unicode Technical Committee meeting regarding the issue back in January. Emojipedia also posted a blogpost on their website announcing the meeting but state no 'formal decision has been made on whether a redhead emoji should or would be approved at all'. The post also confirms that the selection of proposed icons won't be available until 2018 at the earliest.